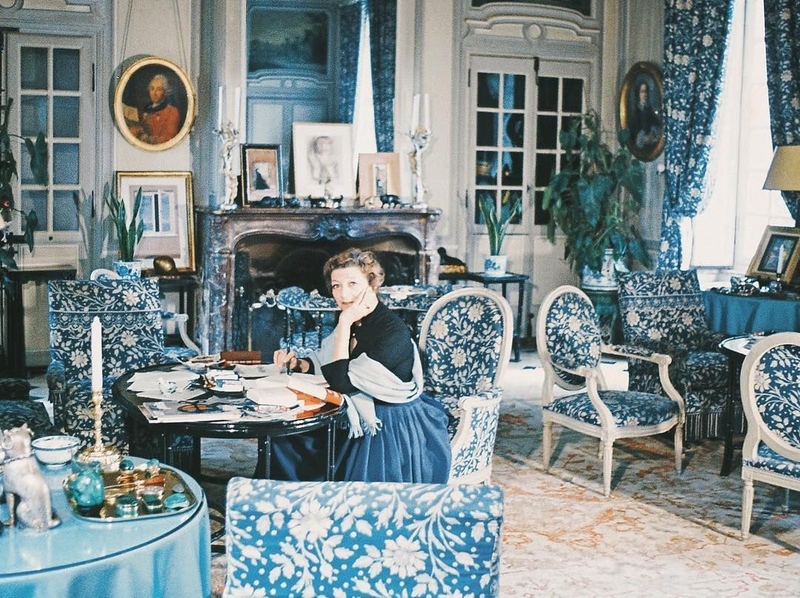 Louise de Vilmorin in her famed Salon Bleu. 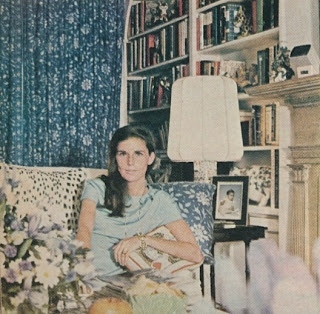 Nadine, Baroness de Rothschild, in her home in Brittany. 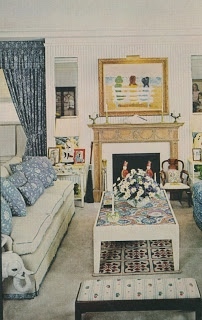 Mario Buatta's Kips Bay Showhouse, (c) 1984, featured in Architectural Digest. Another shot of Mario's Kips Bay Showhouse. Okay. I am only going to say this once and then I am totally done: I think he could have been a smidge more inventive (and particular) with the vanity skirt. There. I am done. My lips are forever sealed. Leta Austin Foster nails it with the addition of D. Porthault linens. The clover would have been too literal. Phoebe Howard tries her hand at Verrières/Batik. 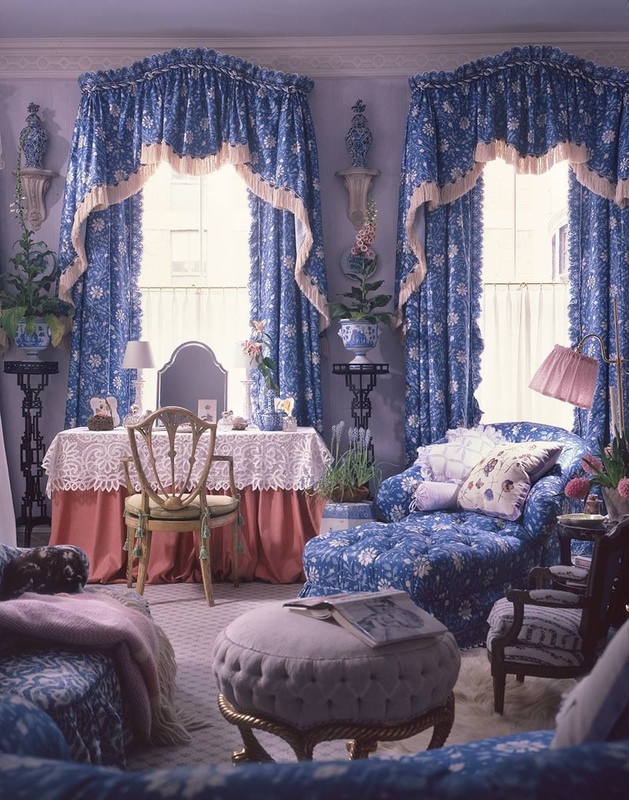 Mario Buatta pulls an oldy-but-a-goody out of his bag for one last amazing flourish in a recent Architectural Digest. 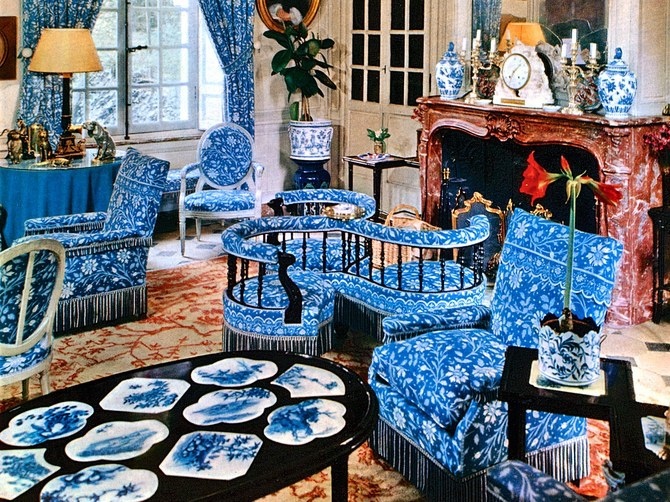 Louise de Vilmorin’s Salon Bleu has been called "one of the high-water marks of 20th-century decoration” by The New York Times. 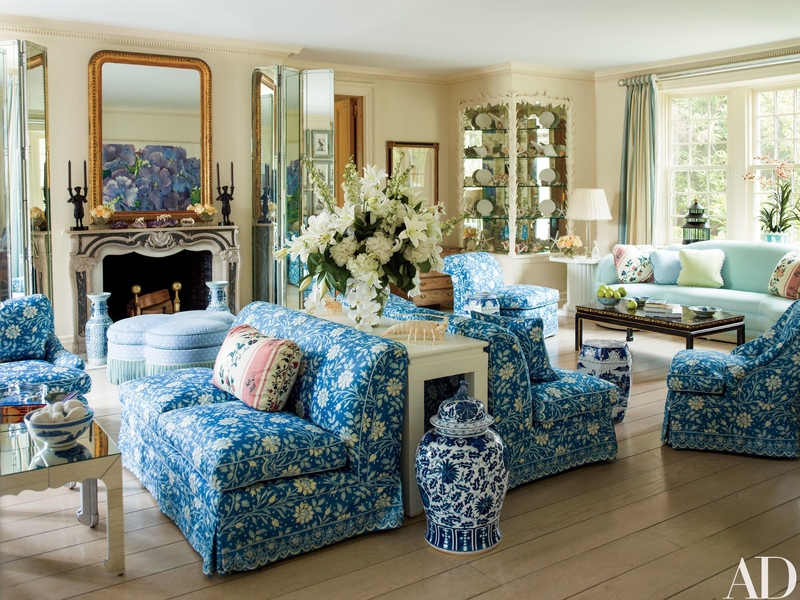 The coup de foudre for most of us is the use of copious amounts of a blue Indian-batik style floral fabric. That fabric has really captivated me for a while now and left me wanting to know more. 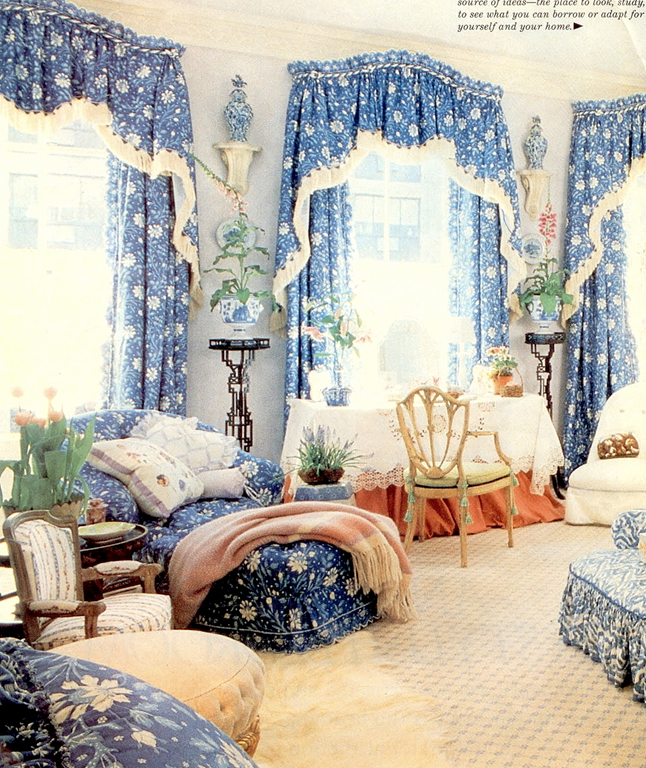 More about Vilmorin, more about Salon Bleu, and more about the fabric itself. And, specifically, why is it sold under two different names by two different French fabric houses, Brunschwig & Fils and Le Menach. In 1902, Louise de Vilmorin was born into the French seed giant company that still bears her family's name and grew up outside of Paris in Verrières-le-Buisson, site of the ancestral estate that she would later inherit. 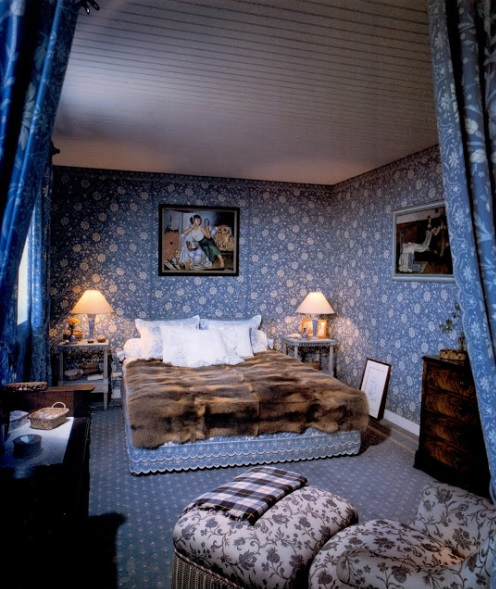 Verrieres-le-Buisson was built in 1680 for another Louise, Louise de la Vallière, a favorite mistress of Louis XIV. Louise Vilmorin went on to become a woman of letters (in additon to 20 slim works of fiction and poetry, she is best known for her novel Madame de), a legendary clotheshorse, tastemaker, brilliant hostess and home-wrecking man slayer. Yes, turns out Louise was quite a ho. In addition to her four husbands, her other conquests include Orson Welles, Prince Ali Khan, Duff Cooper (the sexually unquenchable British ambassador to France after World War II), to name just a few of the big men who hit that. She also underwrote an autobiography of Coco Chanel that Coco was never able to unload. The women are said to have despised each other after working together. Coco is said to have blamed Louise for the book's failure. Savage! Another fun fact: the D.Porthault clover pattern is attributed to Louise and said to have been specially created for her by the French linen purveyor. Wow. Honestly, I need a Netflix Original on this. But, back to the fabric. 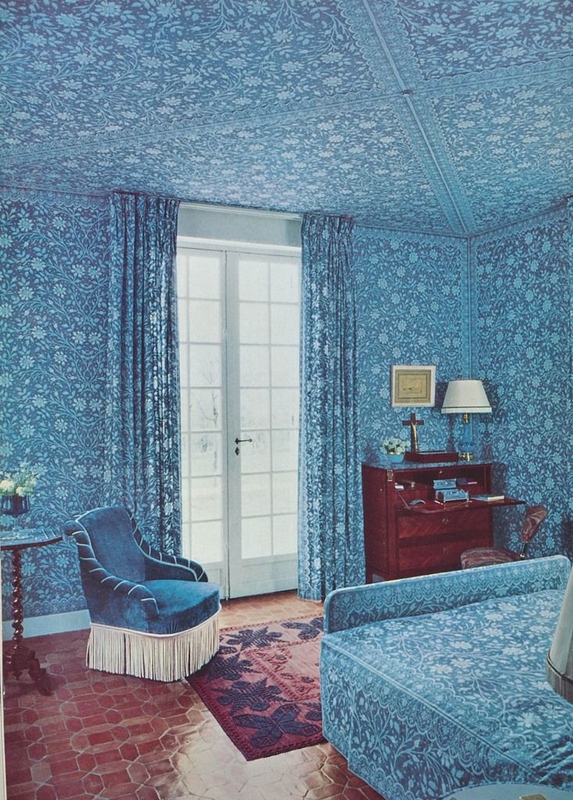 When she inherited Verrières-le-Buisson, she worked with Henri Samuel to create her Salon Bleu. 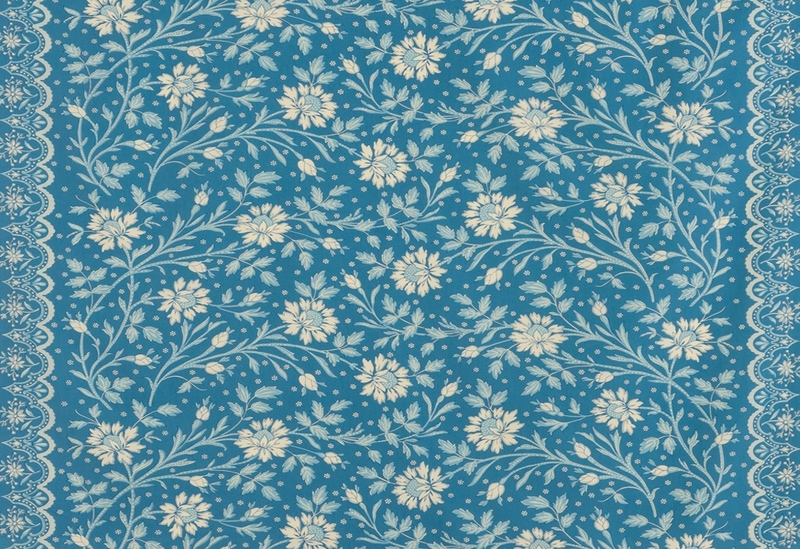 Samuels is said to have found and recommended the Indian Batik fabric he used on the chairs, sofas, and drapery. This was around about the same time Versailles commissioned Samuels to restore the Empire rooms at Versailles (instead of keeping it in-house as per usge). Nothing but the best for Louise. Obvi. 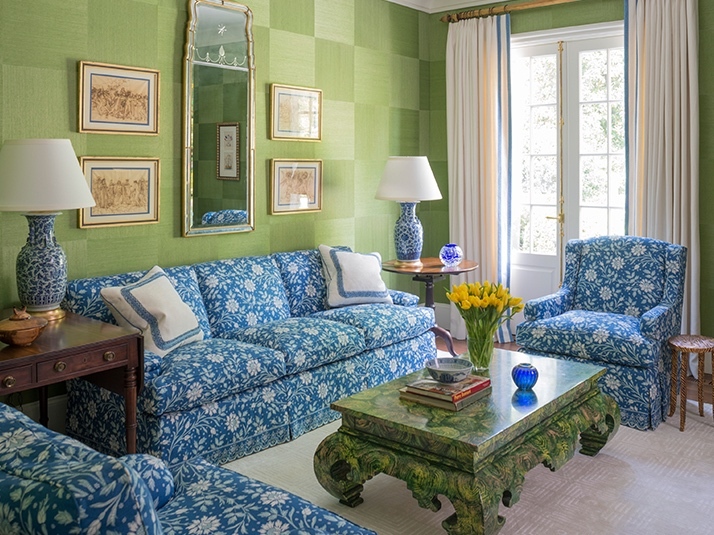 The fabric is sold under the name "Verrières" by ancient French fabric house Brunschwig et Fils, currently held by Kravet. This makes sense, because it bears the name of the estate in which Louise created the room. It is also sold under the name "Batik" by the ancient French fabric house, Le Menach, currently housed under Pierre Frey. This name makes sense, too, because it is a classic Indian Batik. I have no clue which was the original, if either. 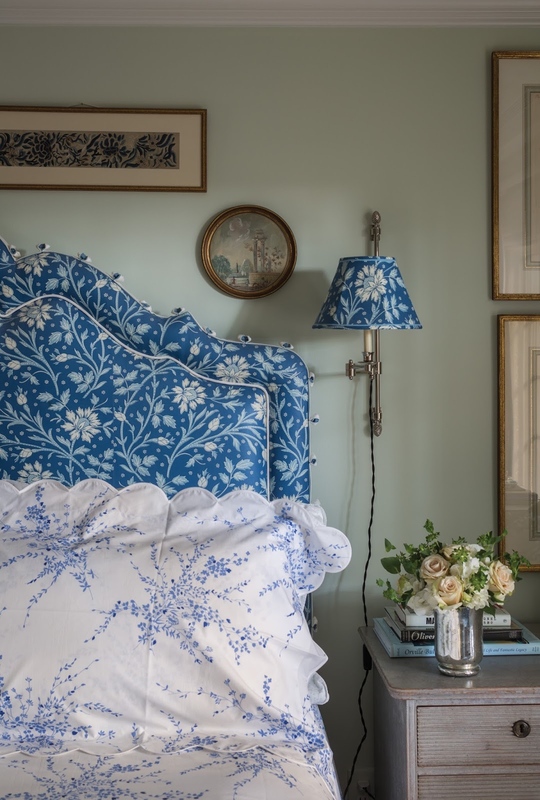 And, to look at both fabrics in the original, glazed, blue chintz (it is also sold in other colorways and in linen), the only difference is that the off-white background by Le Menach is a little warmer. The long and the short: this fabric is horribly, horribly, horribly chic. OMG, I love it!